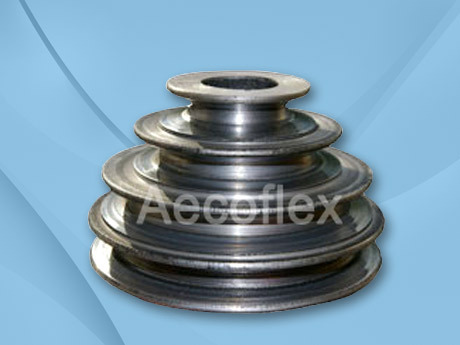 A series of pulleys of various diameters combined in a single concentric unit is knows as step pulley and used to vary the velocity ratio of shafts. Step Pulley is used where variations are required from slow rotations to high rotations with change of torque. It is also known as cone pulley.